As reported in the York Press, York People’s Assembly delivered its verdict on the proposed city budget before the City Council’s cabinet meeting last night. It will put to a vote at Full Council on Thursday 27th February, when York People’s Assembly will hold a protest from 5.30pm in St Helen’s Square. We encourage everyone with concerns about council cutbacks to join us. Group member Dr Chris Brace addressed the cabinet (see video below), delivering the message that the council should stop doing the Tory’s dirty work and reflect instead the wishes of those who voted them in. Speakers from the UNISON branch representing council staff voiced their concerns at job cuts and the transferring of services away from democratic council control. Another speaker raised the issue of pitch-fee rises for Travellers, one of York’s most vulnerable communities. 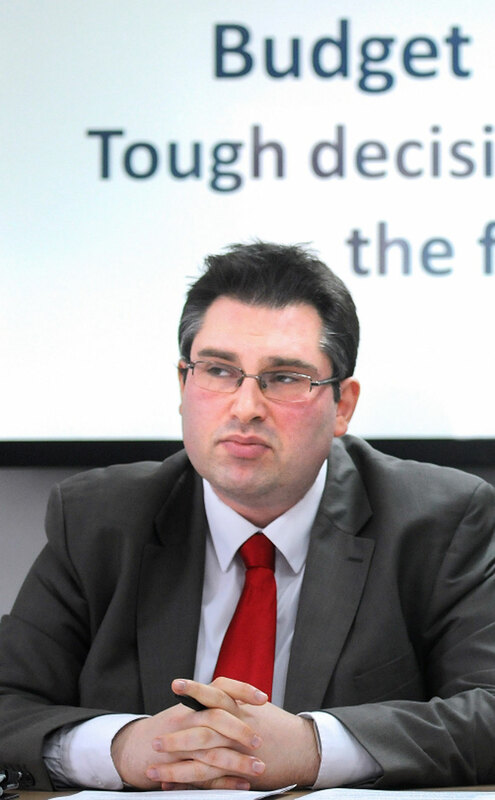 It was clear from Council Leader James Alexander’s response that we’d won the moral argument. However, that will be no consolation to those who rely on threatened council services.